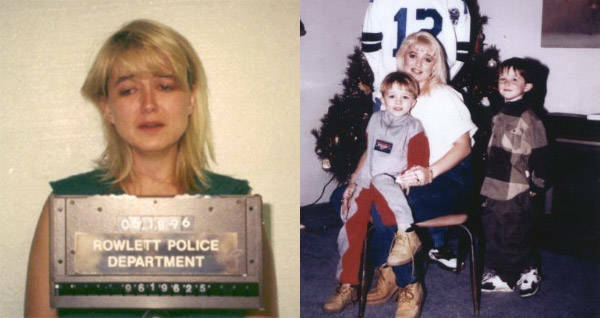 Darlie Routier claimed that an intruder was responsible for the death of her two sons. The evidence said otherwise. In the early morning hours of June 6, 1996, 911 dispatchers in Rowlett, Texas, received a panicked call from Darlie Routier. She claimed that an intruder had broken into her home and stabbed her two sons, Devon and Damon, and herself. Her other child, an infant, was upstairs asleep with her husband Darin, and both were unharmed. When police arrived, they found Devon already dead. Damon died on the ambulance ride to the hospital. Routier had suffered bruises and cuts to her throat and right arm and was briefly hospitalized. She described the attacker as a white male at about six feet tall. Police found a window screen in the garage had been cut, suggesting an entryway for the attacker to gain access to the home. However, holes soon began to appear in Routier’s intruder story. Forensic analysis showed evidence that was inconsistent with what she had told the police, and suspicion began to form around her. The murder weapon was a knife that had come from the Routier’s own kitchen, which raised suspicion that there had really been an intruder. A motive for the break-in was unclear, but it seemed unlikely that it was robbery as there had been many valuables lying out in plain sight that had not been taken. Forensic analysis of the blood spatter around the house revealed patterns that were inconsistent with Routier’s version of events. The pattern of blood drops in the kitchen seemed to come from someone who had been standing still, not running after an attacker, as Routier had claimed she had done. They also found a bloody imprint of the murder weapon in the living room as well as strange blood spatter on the back shoulder of Routier’s nightshirt. This suggested that she was the one who had done the stabbing. In addition, forensic scientists found evidence of large amounts of Routier’s blood in and around the kitchen sink, suggesting that she had stood at that sink to cut her own throat and arm. Finally, forensic experts found evidence of fiberglass rods on a bread knife in the kitchen that matched the fiberglass rods of window screen that had been cut in the garage. 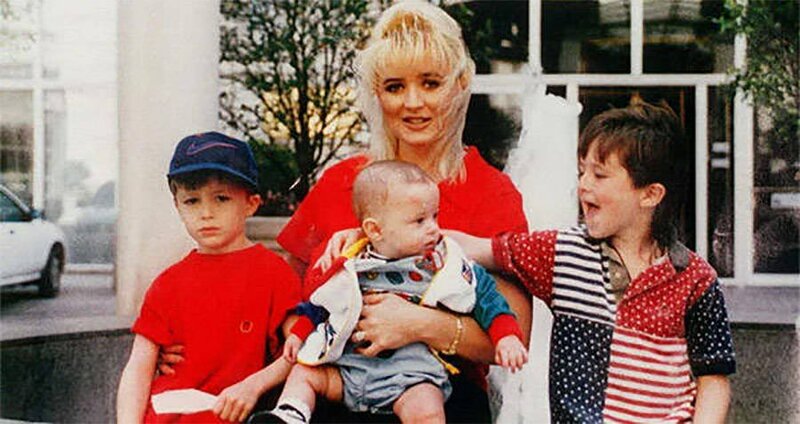 YouTubeDarlie Routier and her sons Devon, Damon, and Drake. Perhaps the most damning evidence against her was publicized by Routier herself. She had invited local news crews to film her and her family and friends celebrating what would have been her son Devon’s 7th birthday at the grave site. They were laughing, singing Happy Birthday, and spraying silly string over the graves, only eight days after the boys’ brutal murder. Prosecutor Greg Davis saw the video and seized on it as proof that she showed no grief over the death of her sons. Her upbeat behavior seemed very unusual for a woman who had lost two sons a mere week ago. Four days after the video was released, Routier was arrested and charged with premeditated murder. During the trial, the prosecutor relied heavily on the video from the graveside birthday ceremony. They claimed she was a shallow and materialistic woman with no remorse. They said she wanted her sons gone because they were too much responsibility and got in the way of her desired lifestyle. The defense team countered that she had no motive to murder her own children. Furthermore, the wound on her neck was only two inches away from her carotid artery, which was not consistent with a self-inflicted injury. Routier’s supporters also pointed out that the silly string video had been edited to make her appear heartless. She had actually held a somber ceremony honoring the two boys before the more jovial birthday party. However, the news cameras never showed it. On Feb. 4, 1997, Routier was found guilty of the first-degree murder of Damon and sent to death row. She is currently being held at the Mountain View Unit prison in Gatesville, Texas, awaiting execution by lethal injection. Darlie Routier maintains that she is innocent of the crime. Now that you’ve read about Darlie Routier, read about Nannie Doss, who spent decades murdering relatives and husbands. Then learn about 6 unsolved murder cases that will keep you up at night.